Glenn Waldrop relies upon decades of experience when litigating business and commercial matters. One of the firm’s founding partners, Glenn focuses his practice on business and commercial litigation. He works with clients across a variety of industry sectors, including construction, securities, insurance and finance. Glenn handles matters brought by consumers and individuals alleging fraud, breach of contract or inadequate performance of insurance policies or financial products. He has broad experience defending both individual lawsuits and class actions. Glenn also provides construction-related counsel to clients in that industry. 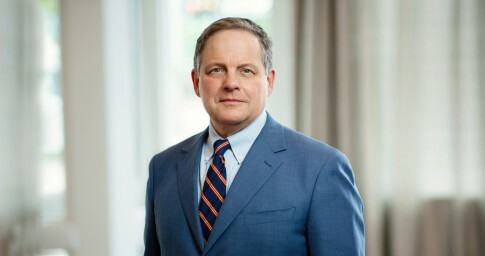 In addition, Glenn handles securities litigation and shareholder disputes, including close corporation and partnership disputes. He frequently represents businesses in matters involving noncompetition agreements, trade secrets, or proprietary and confidential information. Glenn also handles commercial cases on behalf of plaintiff business or corporate interests. Understanding that in many instances his clients might be best served by a settlement rather than going to court, Glenn has developed unique experience with alternative dispute resolution. He represents clients in mediations and arbitrations, and also frequently serves as an arbitrator and mediator. Glenn’s arbitration experience includes FINRA, AAA, ICC and privately administered arbitration proceedings. His work as a mediator has included the successful resolution of disputes involving the construction of a new high school, renovations and additions to a VA nursing home, construction of additions to an automotive manufacturing plant, the breakup of a law practice, and an oil and gas project where adjoining landowners claimed waste and depletion of their mineral rights. Among other achievements, Glenn was recognized by Mid-South Super Lawyers in 2017. He has also been named a "Litigation Star" by Benchmark Litigation since 2011 and has been recognized by The Best Lawyers in America© since 2009. He is a member of St. Francis Xavier Catholic Church. Representing a specialty trade contractor in litigation concerning the renovation of an historic hotel. Our client recovered its full contract balance plus pending change order requests, defeated the prime contractor’s delay claim, and was awarded its attorney’s and expert fees. Representing a contractor on a hurricane protection project in post-Katrina New Orleans. Our client recovered its full contract balance, defeated all counterclaims, and was awarded its attorney’s fees and expenses. Representing the owner of a five-state quarry business in litigation concerning an exclusive sales representation and distribution agreement. The most critical issue involved whether the other party could dictate sales prices or whether our client had the right to establish pricing parameters for its aggregate products. The contract was silent to ambiguous and an adverse result could have destroyed the business. We prevailed in this bet-the-company litigation. Representing investment groups with limited partnership ownership in a co-generation electrical plant in New York, where the limited partners claimed that the general partner had abused its management rights. Following arbitration, the matter was resolved favorably for our clients, including the inclusion of key amendments to the partnership agreement circumscribing the general partner’s management rights and discretion. Representing an asphalt paving contractor on claims that its work on an Indy-style race course was defective, resulting in millions of dollars of damages in the repaving of the track. Following discovery, the owner essentially capitulated and the lawsuit was settled for nuisance value. Representing the outside directors of a multibillion-dollar corporation in a lawsuit by minority shareholders alleging that the directors had breached their fiduciary duties in approving a recapitalization and stock split. Following extensive discovery, our clients were dismissed on summary judgment, which was affirmed by the Alabama Supreme Court. Representing a large insurance company in a nationwide class action alleging breach of contract and fraud in connection with the pricing and marketing of so-called bonus annuities. Following discovery, our client won on summary judgment, which was affirmed by the U.S. Court of Appeals for the 11th Circuit. Representing an investment fund that owned interests in electrical power projects in California. The general partner attempted to use its superior financial position to dilute our client’s ownership interest, which we were able to thwart through a favorable arbitration award.